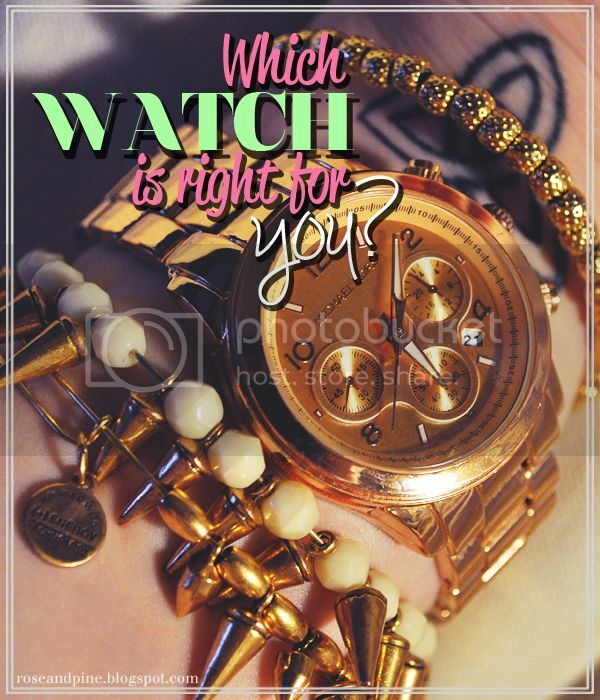 You can tell a lot about a woman by the watch on her wrist. A good watch is an investment piece that, if worn properly, can bring you the time for years to come. Normally I wear a Michael Kors Rose Golden Oversized Chronograph watch, but lately I have been wearing my Wildlife by Heidi Klum Baguette Dial Bracelet Watch in Rosetone. Quite a lot. How I normally wear my watch. All other bracelets by Alex and Ani. What do these watches say about me? That I like big, menswear inspired watches. That I love rose gold. I love taking masculine watches and playing up the femininity of my outfit to contrast the watch. 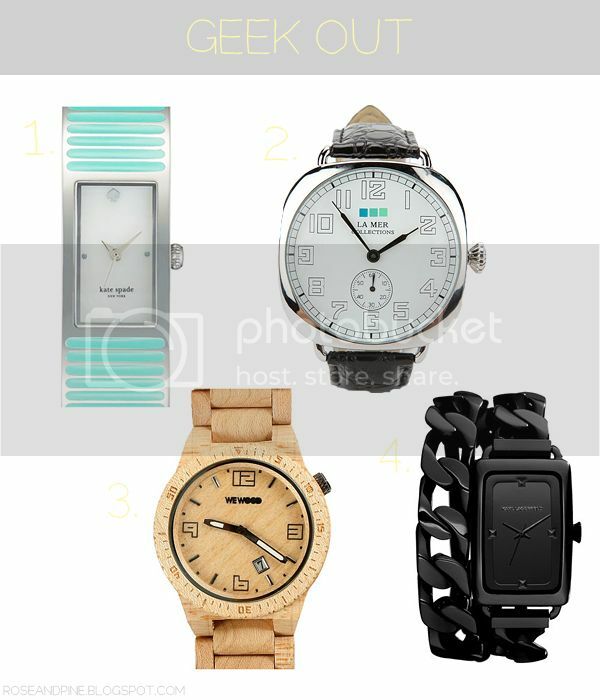 I made a list of some examples of watches, all categorized into different styles and trends. 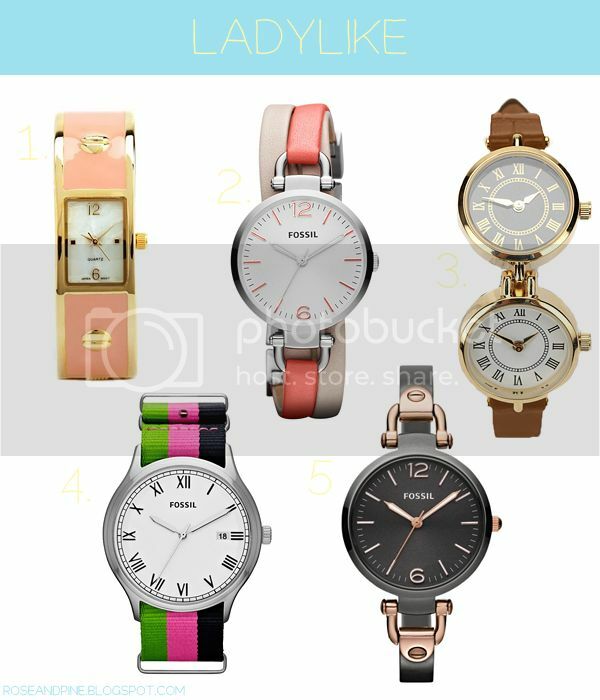 Which of these watches is your favorite? I LOVE my menswear inspired MK watch, and am really looking to add a colorful one to my collection next. Your choices are gorgeous! Thank you! The colorful ones are all gorgeous. great picks! Loving the mens' inspired and the colorful ones! I'm not a watch wearer usually but I got my first one earlier this year (a MK tortoise one) and I love it! 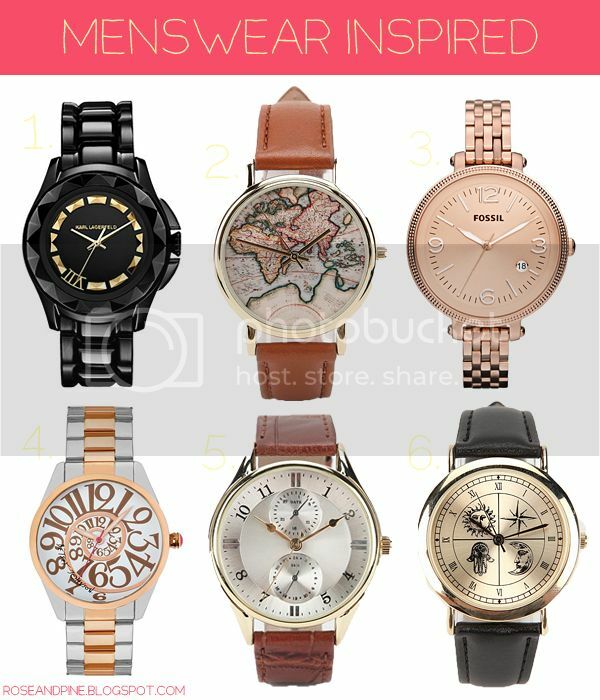 All of these watches are so pretty! I really want a leather one now. Love it ! I used to wear watches all the time but recently I haven't but they still make a great accessory ! 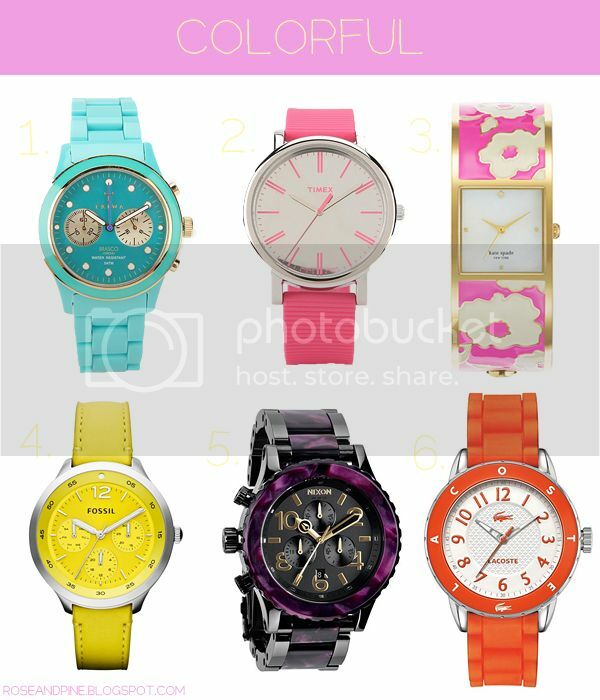 I love the colorful watches and the Kate Spade watch in the geek out category ! !